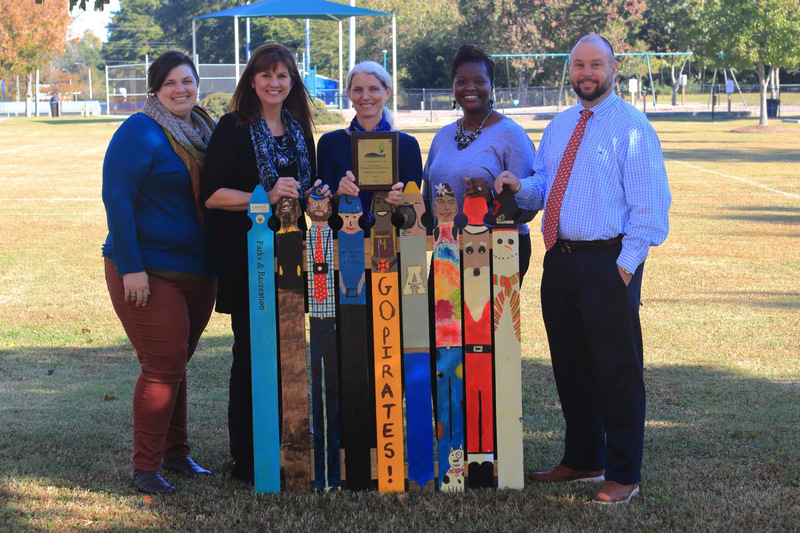 The Garner Parks, Recreation and Cultural Resources Department received the Arts and Humanities Award for the Pop-Up Art Fence Project from the N.C. Recreation and Park Association at its annual conference on Oct. 26. The award recognizes the most innovative and effective arts and humanities programs by parks, recreation and leisure service agency members in the state. 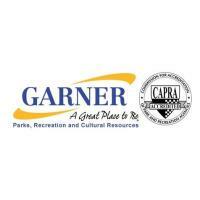 The Downtown Garner Association funded the project, comprised of individual pickets painted by local students, Garner’s Senior Center and Camp Kaleidoscope participants, along with Garner Parks, Recreation & Cultural Resources staff. The pickets were assembled together to create a fence on Main Street, just in time for Garner’s Annual Light Up Main Celebration in December 2017. The pop-up art project inspired creativity and a fresh perspective, bringing artists of all ages together for one common project. The fence represents diversity and connectivity, visualizing that everyone sees themselves differently. The pickets bring a splash of color and imagination to downtown and added to the holiday magic that filled the streets of Garner. This year, Maier has again teamed up with the Downtown Garner Association to create another installation of the project along Main Street. She has worked with more than 175 participants from Vandora Springs Elementary, Timber Drive Elementary, the Garner Senior Center as well as hosted various pop-up painting parties in the community. The fence will be on display beginning Nov. 30 through the month of December in Downtown Garner. From left: Downtown Development Manager Mari Howe, Cultural Arts and Events Manager Debbie Dunn, Garner artist Virginia Maier, Parks, Recreation and Cultural Resources Director Sonya Shaw and Parks, Recreation and Cultural Resources Assistant Director Rob Smith.